When you need collision repair expertise in North Haledon, NJ, choose 821 Collision. Our collision repair center is I-CAR® Gold Class, which is the highest training level recognized in the collision repair industry. We offer auto glass replacement in our state-of-the-art collision repair facility. For over 30 years, your safety has been our top priority. Did you know your vehicles windshield provides a significant amount of structural strength to your car in the event of an accident? The windshield provides 60% of structural integrity during a rollover! Your vehicle’s airbags are also designed to deploy against your windshield to prevent serious injury during a collision. It is very important for you and your family’s safety that your auto glass be installed properly by certified technicians using only the highest quality materials. We replace front windshields on all makes and models. Our highly trained, certified technicians install only the highest quality auto glass and sealants to ensure your new windshield performs as expected. 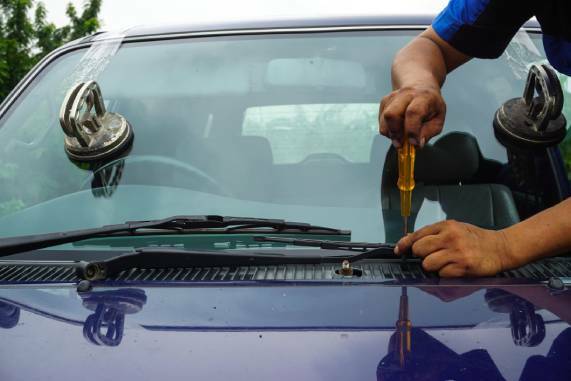 Contact us today to see if how we can assist you with your windshield replacement.